Clock strikes nine -- it was time for a riot; well, Ra Ra Riot, that is. Park City Live didn’t postpone one minute past nine for the Syracuse, N.Y.-based band to embark on an epic and rocking set. It’s a challenge in itself to deem worthy a band to open for Grammy-nominated headliners, The Shins, but any doubts that waltzed into the building soon vanished. For instance, fans throughout the set cried praises such as, “Have my babies!” to the six, 20-year-old-something members who jammed before them. 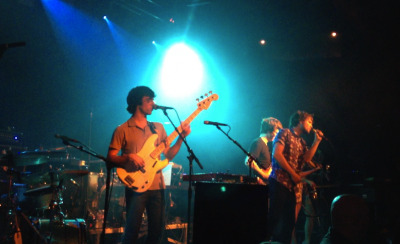 Kicking the show off with tracks from their newly released album, Beta Love, the band proved itself from the start. 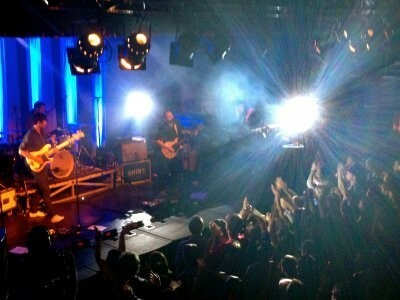 But truth is, it should come as no surprise that The Shins welcomed this indie-pop group to share the spotlight. Whether the attention is zoomed in on the high-energy grooves of guitarist Milo Bonacci, the swift sweepings of Rebecca Zeller’s violin, or frontman Wes Miles’ impressive vocal range, Ra Ra Riot evoke a tastefully feel-good liveliness. After an hour of bouncing and bopping, Miles ended the set, bidding farewell to his and the band’s first-ever Park City audience. With a prompt agenda, concertgoers were given 30 minutes of intermission to either have a drink or mentally prepare themselves for the next two hours of all that is holy. Mercer, the man who contrived it all, has exercised the structure of the band and its prolonging success since 1996. Though the group has flip-flopped with its members over the years, this tour lineup consists of nothing but strong talent. At 10:30 p.m., what was a dispersed crowd instantaneously transformed into a gravitated cluster as the hypnotizing harmonies of “Caring is Creepy” spellbound the venue. Song after song, either rocking out with raised arms on the main floor or swaying back and forth up above, all eyes remained glued to the mesmerizing five bodies that reined the stage. Bouncing back from classics on album Oh, Inverted World to newly released tracks from 2012’s Port of Marrow, the audience bounced along, as well, amplifying its cheers as if in competition with those from the previous. For two hours, the utmost miniscule amount of drowsiness or boredom could not be detected even with Sherlock Holmes' magnifying glass. 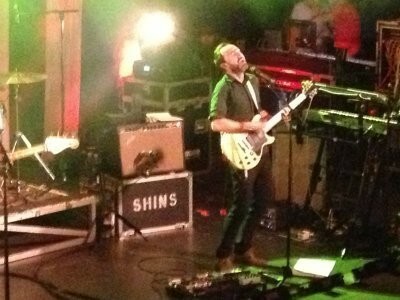 The Shins undeniably defined what is truly an electrifying rock show.